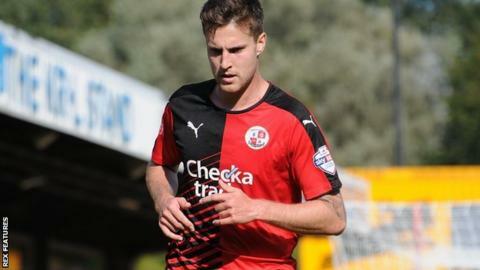 Grimsby Town have signed midfielder Conor Henderson on a deal until the end of the season after he was released by Crawley. Henderson, 24, spent the last six weeks on loan with the Mariners but did not feature in a league game. The former Arsenal trainee made his debut for the club in their FA Trophy tie against Solihull Moors. Grimsby are currently third in the National League, 10 points behind leaders Cheltenham.